Designed with young children in mind, this book is a shortened and simplified version of the popular, best-selling Tell Me about the Catholic Faith. Suitable for children in pre-school and kindergarten, Tell Me about the Catholic Faith for Small Children is a comprehensive view of the Catholic Church with gorgeous four-color illustrations on every page. The book begins with the most important stories and characters of the Bible, beginning with the Old Testament: Adam and Eve, Noah, Abraham, Moses, and David. Next comes the New Testament with Mary and Joseph, Jesus, John the Baptist, the twelve apostles, and the sisters Mary and Martha. The basic beliefs of the Catholic Church as well as her major sacraments and feast days are all briefly described. 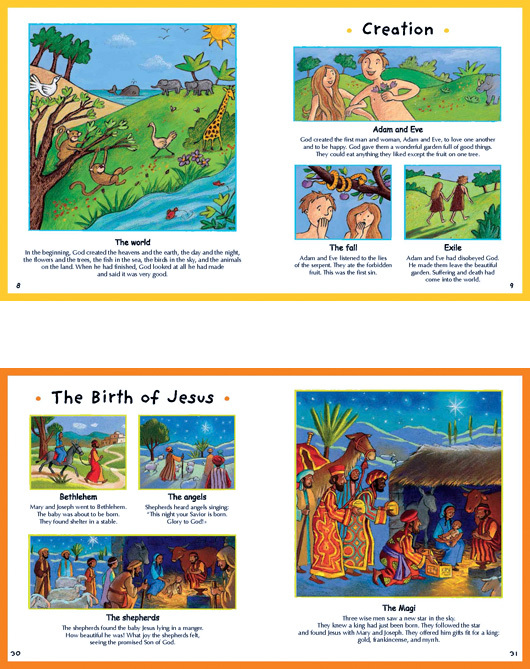 This rich treasury of information is sure to fascinate young children while teaching them the most important elements of their Christian heritage.